Victoria Gartelos is a native of Denver, celebrating a successful career in as a Realtor since 1970, serving Metropolitan Denver. Some of her business achievements include: Founding The Castlewood Company, Realtors in 1984; Joining Metro Brokers Southeast Suburban Office 1994-Present. Victoria currently serves as a Director of the South Metro Denver Realtor Association and as Chair of the Philanthropy Charities Committee for the Association. She has previously served as Education Chairman and on the Professional Standards/Grievance Committee for the Association as well. Victoria was accepted into the Colorado Association of Realtors “Leadership Academy-2015”. In addition, Victoria is Listed in “Who’s Who of American Women ~ Millennium Edition.” Victoria is also a Blacktie Colorado, “Have You Met” Recipient. Victoria has a strong belief in education and calls herself a “forever student”. She attended The University of Denver after graduating from Denver South High School. After her sons graduated from Colorado State University, she decided it was time to return to DU- Colorado Women’s College. Victoria is currently enrolled and will graduate Spring 2015, with a BA in Communications and a Minor in Business. Of all her achievements, being a Mother to Reverend George Gartelos and Constantine Gartelos is what she considers the most important! Victoria says her sons have blessed her life, along with their wives, her “daughters”, and her five treasured grandchildren. 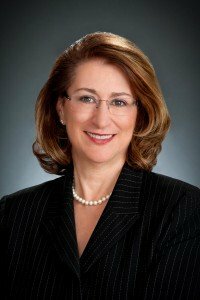 Victoria is a member of The Greek Orthodox Church, attending Assumption Cathedral, Denver and Saint Catherine’s in Greenwood Village, where she has served on many committees and chaired events through the years.